Retro games have always had a certain charm. They invoke nostalgia and make us think of the old days. They are odes to a simpler time when the graphics did not matter so much and developers tried create video games around ideas rather than looks. If you are looking to get your hands dirty with a bit of nostalgic gaming, we have the best retro games currently available on app markets. However, this time we have brought you a retro game, Space Jumper. 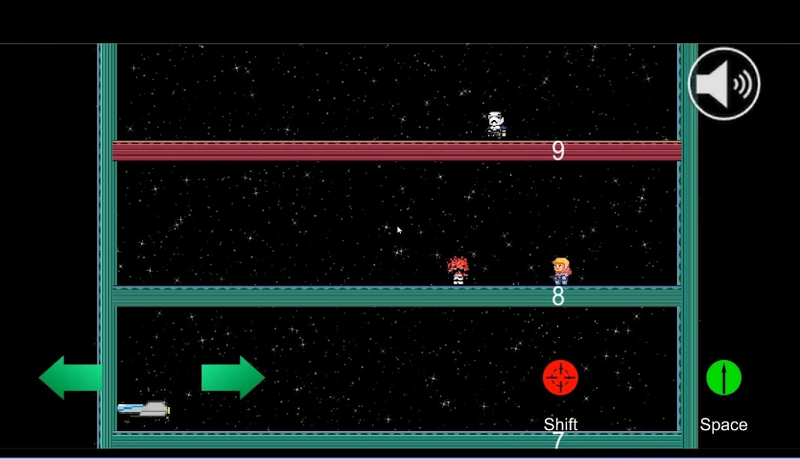 Space Jumper is a retro style arcade game for iOS and Android. In the game, you play as a beautiful female, character Hana. It is the perfect blend of classic shooter and jumping games. Now you have to guide Hana in her battle by using your controls to defeat the invaders and clear the space from them. Gameplay has simple and easy controls that you can find on the screen and you have to be so précised to decide when you have to jump and when you have to shoot. Space Jumper offers a great retro style space environment with amazing background sound effect. On your way, you can also see the space ships of these invaders but here your shooting does not matter, you have to jump over these vehicles using eye to hand coordination to avoid these space ships. You can also share your best with your friends across different communication platforms and in addition, it is connects with game center to compete around the globe. Space Jumper is available free to download and is compatible with all of your devices. Download today from the recommended store links, which are present below.